Accurate Roofing & Building Limited - Builder, Fascia/Soffits/Guttering, Roofer, Windows/Doors/Conservatories based in Hailsham, East Sussex. 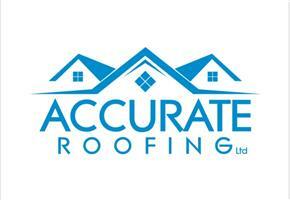 Whatever your roofing needs we have got it covered- literally! from straight forward repairs through to renovation and restoration and on to complete, we offer professionalism, price competitiveness and most importantly, peace of mind. For over 5 years we have been providing an extensive and comprehensive service that satisfies virtually every aspect of roofing. Deploying a highly skilled and professional workforce ensures that from initial point of contact to final completion, that your works are undertaken safely, efficiently and to the highest of standards to the general public, commercial and industrial premises. Unlike many roof companies our roofers are also trained to carry out work on conservation roofs, we also complete slate and lead work. Our guttering specialist is also able to provide concrete guttering repairs. With our many years of roofing experience we are able to identify such design faults and pitfalls and offer suitable alterations. Properly designed roofs should return a good serviceable life, whether they are flat or pitched in construction.